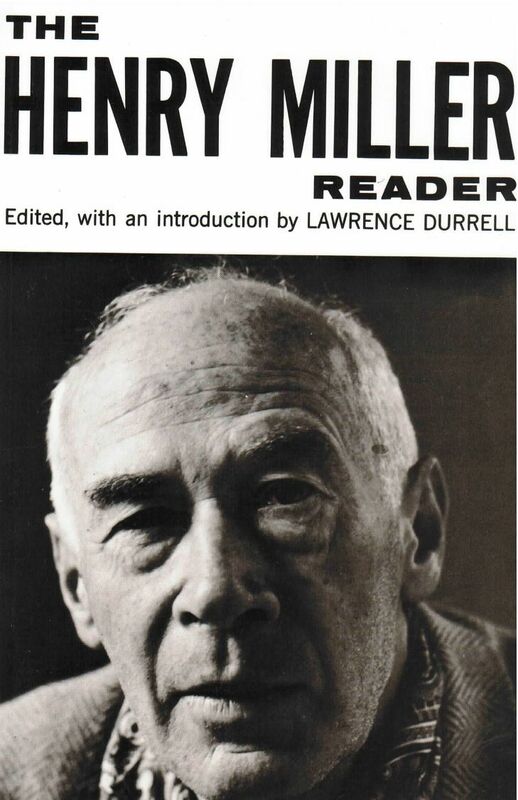 In 1958, when Henry Miller was elected to membership in the American Institute of Arts and Letters, the citation described him as: “The veteran author of many books whose originality and richness of technique are matched by the variety and daring of his subject matter. His boldness of approach and intense curiosity concerning man and nature are unequalled in the prose literature of our times.” It is most fitting that this anthology of “the best” of Henry Miller should have been assembled by one of the first among Miller’s contemporaries to recognize his genius, the eminent British writer Lawrence Durrell. Drawing material from a dozen different books Durrell has traced the main line and principal themes of the “single, endless autobiography” which is Henry Miller’s life work. “I suspect,” writes Durrell in his Introduction, “that Miller’s final place will be among those towering anomalies of authorship like Whitman or Blake who have left us, not simply works of art, but a corpus of ideas which motivate and influence a whole cultural pattern.” Earlier, H. L. Mencken had said, “his is one of the most beautiful prose styles today,” and the late Sir Herbert Read had written that “what makes Miller distinctive among modern writers is his ability to combine, without confusion, the aesthetic and prophetic functions.” Included are stories, “portraits” of persons and places, philosophical essays, and aphorisms. For each selection Miller himself prepared a brief commentary which fits the piece into its place in his life story. This framework is supplemented by a chronology from Miller’s birth in 1891 up to the spring of 1959, a bibliography, and, as an appendix, an open letter to the Supreme Court of Norway written in protest of the ban on Sexus, a part of which appears in this volume.